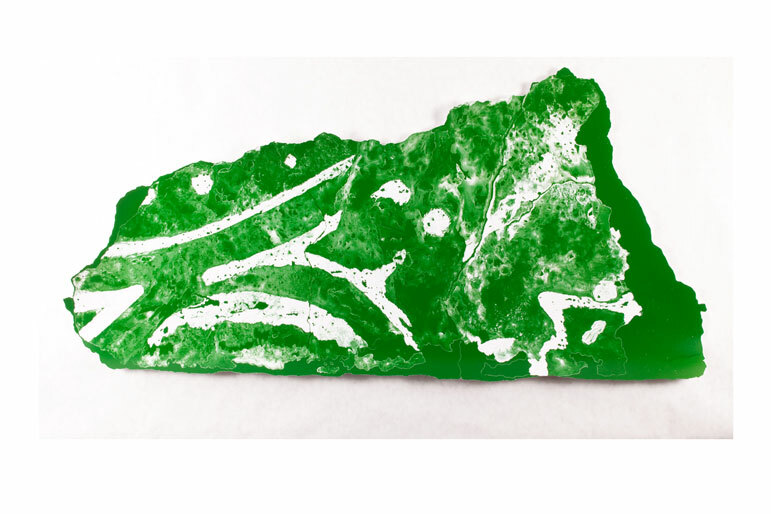 As part of her residency in 2009, Farrah Karapetian traced the graffitied surface of segments of the Museum’s Berlin wall onto acetate producing an artwork called Souvenir (green). The resulting prints, which used colors that were extant in the actual piece of the wall, are part image, part object – souvenirs not only of the Berlin Wall, but of the artist’s time spent investigating its surface. Karapetian’s green hand-cut print is now part of the Museum’s permanent collection.